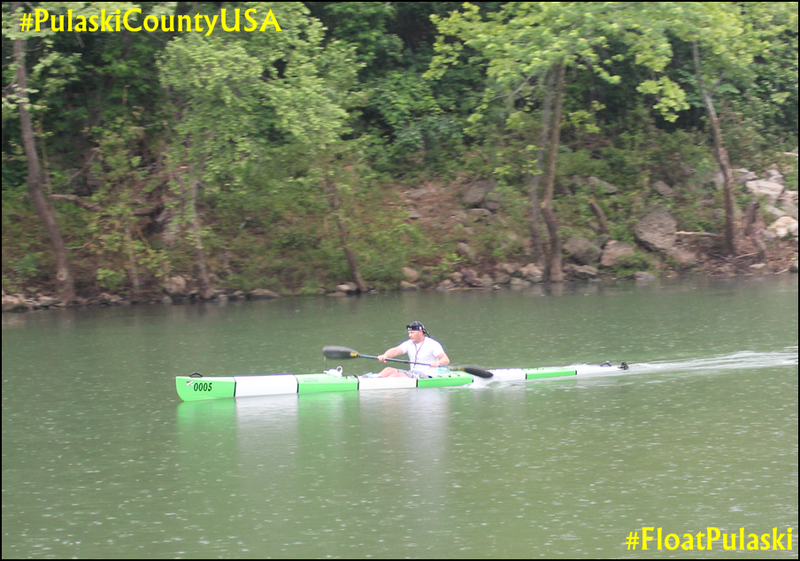 The GAS Race is a twenty-seven mile canoe and kayak race that is held on the Gasconade River in Pulaski County, Missouri. 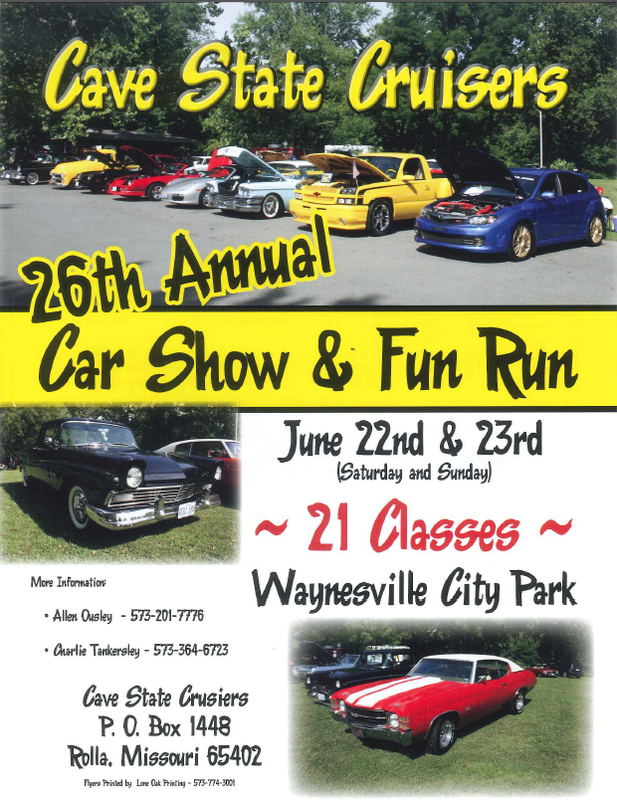 The race starts near Waynesville, at Gasconade Landing, with a beautiful view of Pikes Peak Bluff, and ends downriver at Boiling Spring. Along the way, paddlers pass the towering 250 feet high bluffs at Portuguese Point, one of the most scenic sections of the 280 mile Gasconade River. 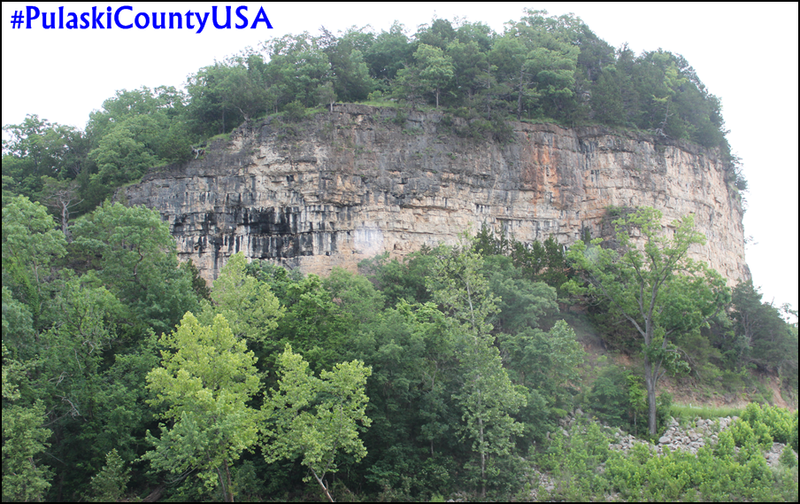 Pike’s Peak Bluff in Pulaski County, Missouri, overlooks the confluence of the Roubidoux and Gasconade Rivers. 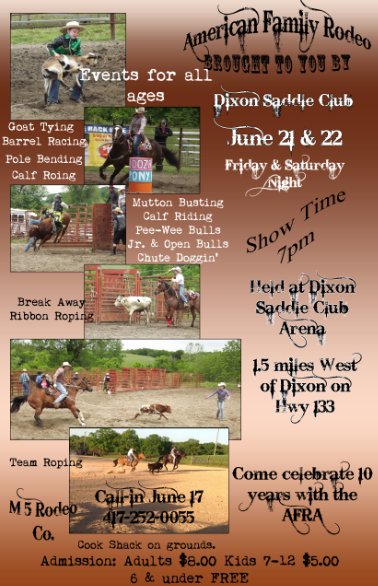 The Roubidoux River is a popular trout stream and the Gasconade River is a popular fishing and float stream. 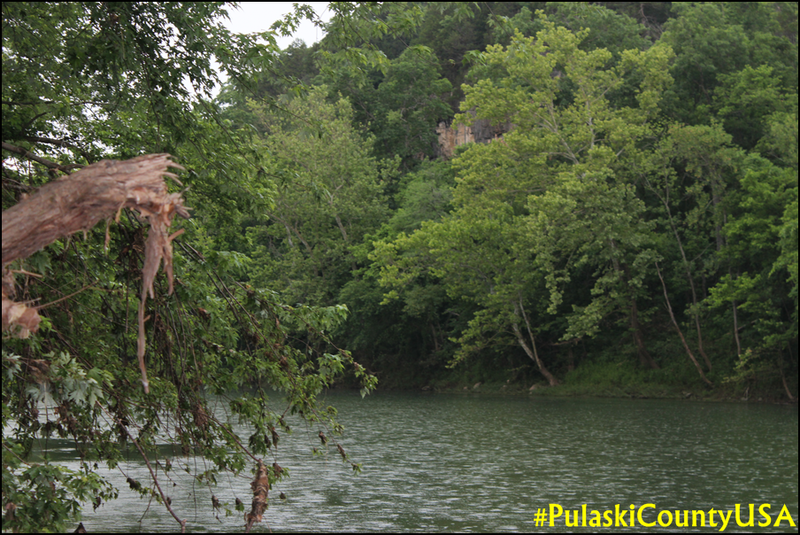 The Gasconade River, approximately 280 miles long, snakes its way through Wright, Laclede, Pulaski, Phelps, Maries, Osage and Gasconade counties in the Ozark Mountains before emptying into the Missouri River. 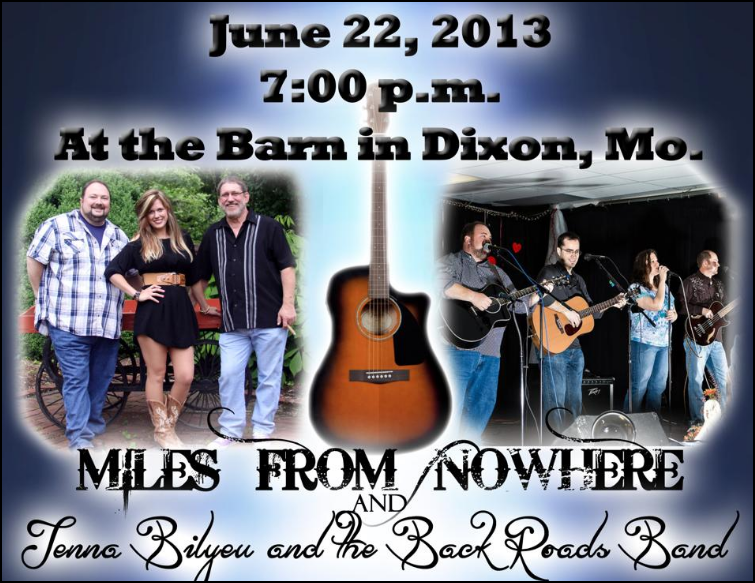 It is the longest river completely in the boundary of Missouri and has been coined “The World’s Crookedest River”. 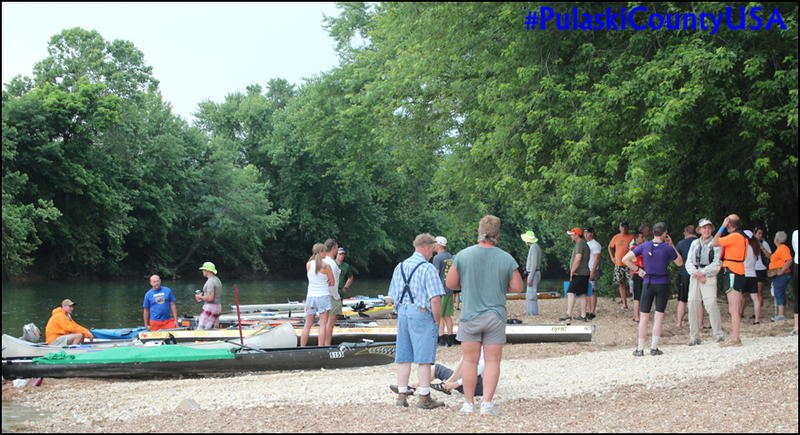 A twenty-seven mile stretch in Pulaski County is home to the annual GAS canoe and kayak race, modeled after the Missouri River 340 (MR340) Race. But, these competitors will not have time to see a bit of that. With their eyes on the prize, and their blades (paddles) slicing through the water, these racers knock out what would normally take a recreational floater 27 hours to do, in just over four hours. 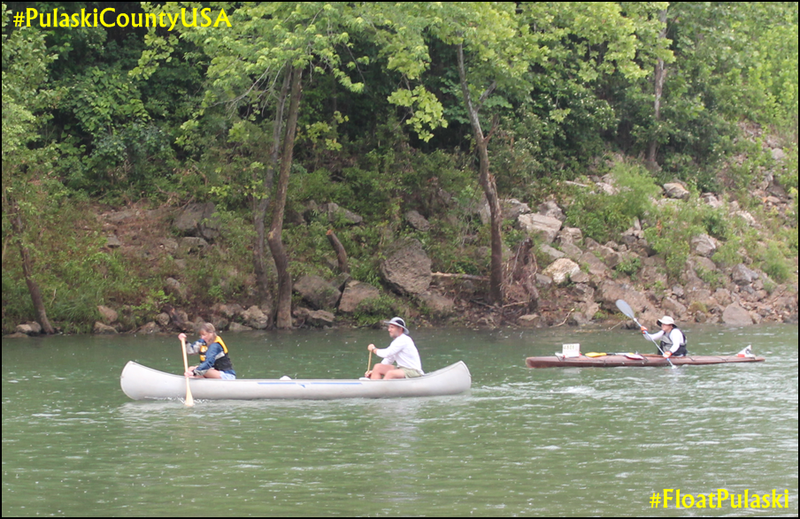 Competitors in the GAS River Race socialize and discuss strategy at Gasconade Landing, near Waynesville, Missouri, before putting paddles in the water. Paddlers gather for a safety meeting shortly before race time. 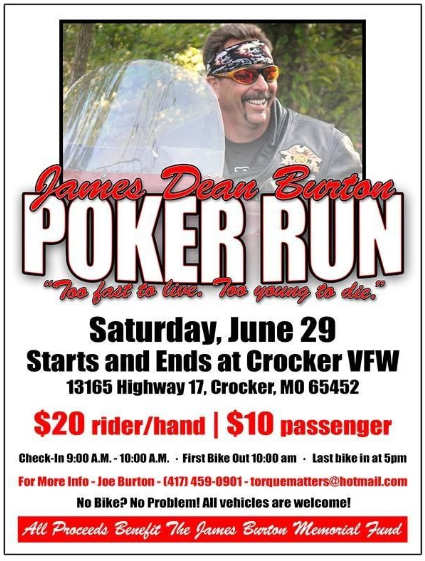 Safety is a priority in the twenty-seven mile race on the Gasconade River. The GAS race course takes competitors through some of the most scenic sections of the Gasconade River, including Portuguese Point (not pictured), approximately seventeen miles from the race start. After competing in the MR340 (Missouri River 340) race Team Aquaholics members Kevin Schwartz and Matt Green were inspired to host a race “on the most beautiful river in Missouri”. 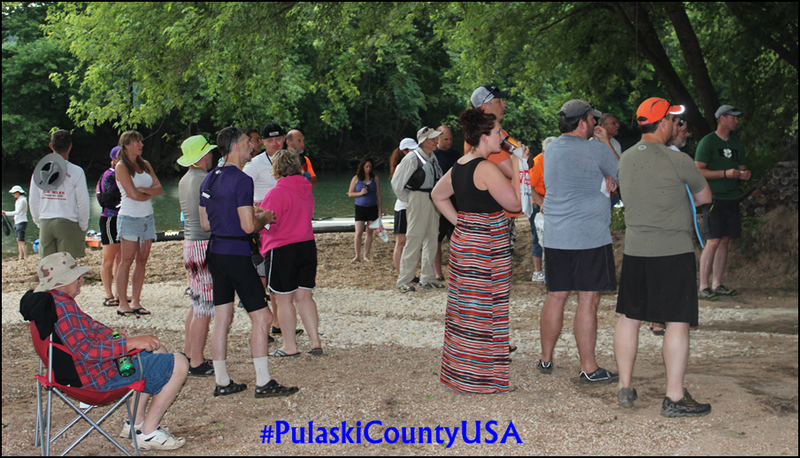 The GAS Race has called Pulaski County home for the last two years and we look forward to hosting them again in 2014! The pack races under WWII Okinawa Veterans Memorial Bridge at the race start. 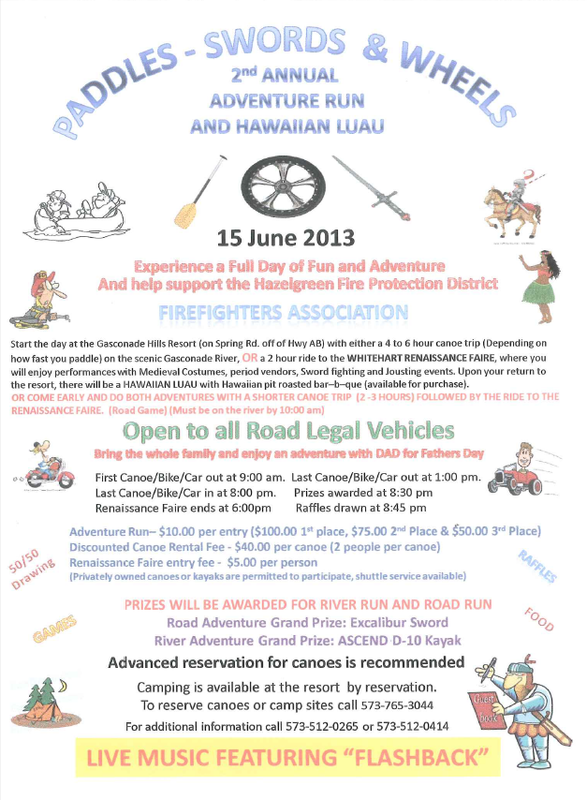 The 2013 Remember the Removal Bike Ride is the fifth annual bicycle ride commemorating the forced removal of the Cherokee Nation from its homelands during the winter of 1838-39. The trek across the country is more than 900 miles taken over a three week period. The riders represent the Eastern Band of Cherokee Indians, stopping at places significant to the Trail of Tears. The group stopped at the Roubidoux Spring, also known as Big Spring, at Laughlin Park in Waynesville, at the same site that their ancestors stopped 175 years ago. The encampments along the Roubidoux River at Waynesville were documented in journals by three men: Dr. W.I. Morrow (1837), Rev. Daniel S. Butrick (1839), and B.B. Cannon (1837). Those records led to Laughlin Park being designated as a certified site on the Trail of Tears National Historic Trail in 2006. Laughlin Park is one of seven certified sites in Missouri. Remember The Removal riders gather around as Waynesville Mayor Luge Hardman welcomes them to Laughlin Park. Laughlin Park is one of seven certified Trail of Tears sites in Missouri. The riders noticed differences at the site from their 2012 stop. Waynesville has an ongoing project to improve the Trail of Tears site with an interpretive walking trail with exhibits. Following an overnight stay in Pulaski County USA, Remember the Removal riders headed west towards Springfield, continuing their trek to their final destination of Tahlequah, Oklahoma, the capitol of the Cherokee Nation. Remember The Removal riders pose for a picture at Roubidoux Spring (also known as Big Spring) in Laughlin Park, Waynesville, Missouri with Waynesville Mayor Luge Hardman (orange shirt), Deloris Wood of the Missouri Trail of Tears Associaion, and Missouri District 122 Representative Steve Lynch. 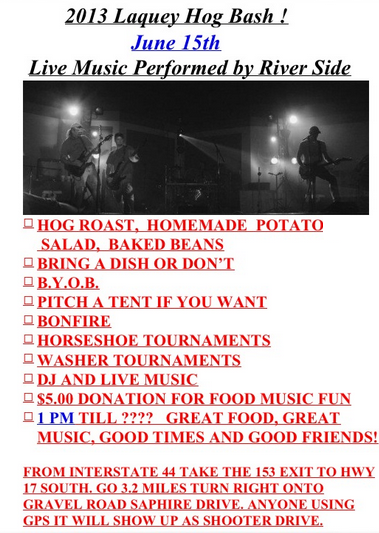 Pulaski County USA is overflowing with adventures June 14th and 15th. 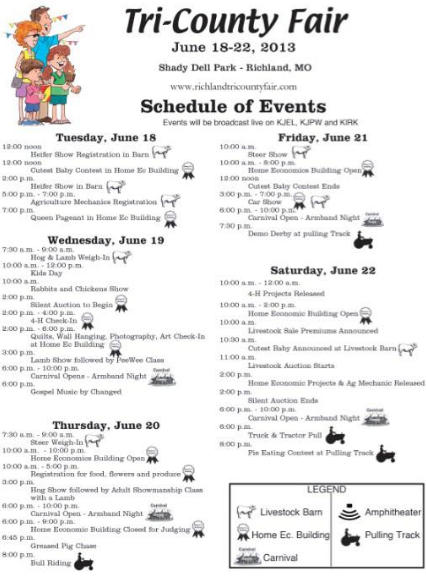 Bring the kids to the midway at the fair in St. Robert on Friday. 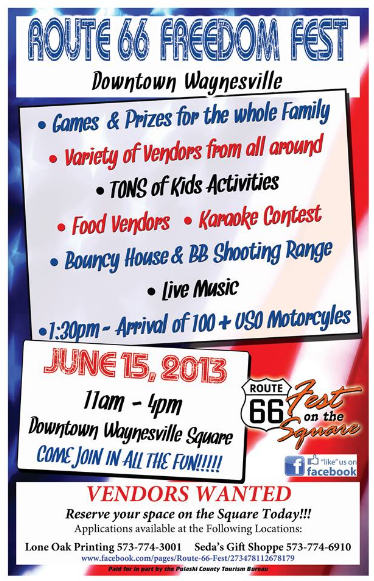 And then head down to the family friendly Route 66 street festival in Waynesville on Saturday. 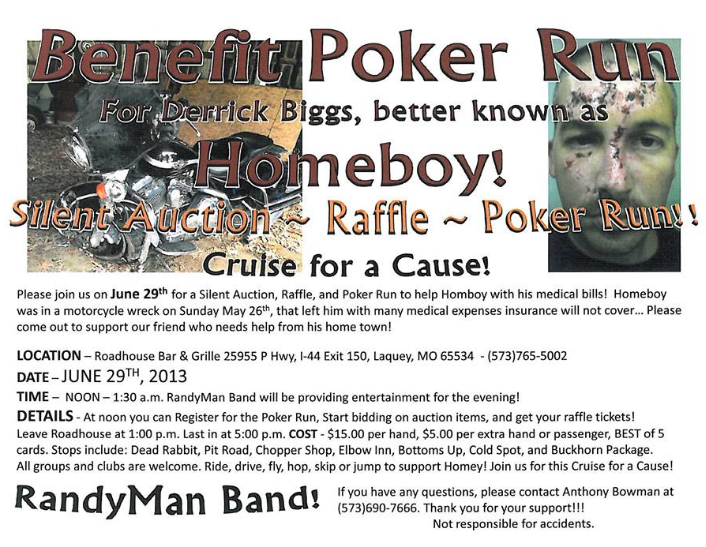 Looking to get your motor running? 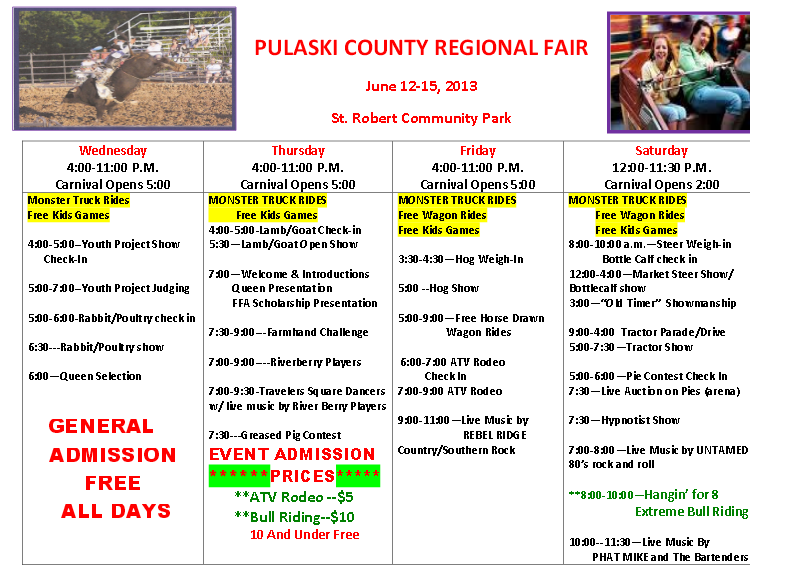 It’s a great time to hit the open road in Pulaski County USA. 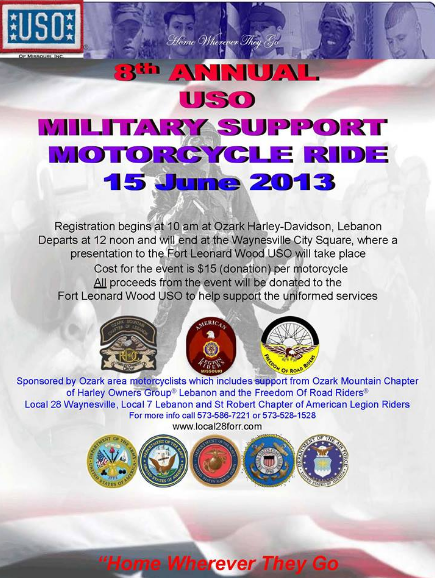 You can show your patriotic pride on Saturday at the 8th Annual USO Military Support Motorcycle Ride. 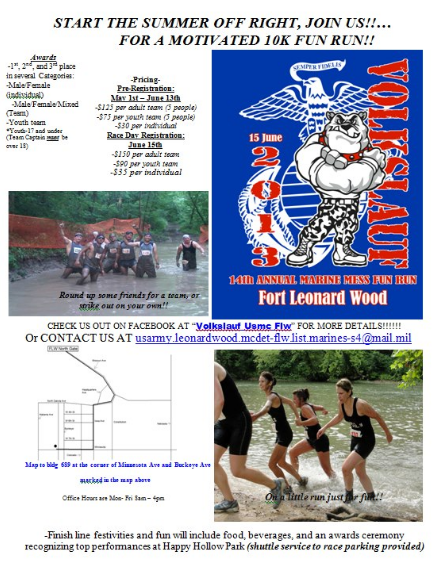 Or, if you are looking for a different type of run, lace up your tennis shoes and get motivated during the Marine’s 14th Annual 10K Volkslauf. This designation is another indicator of the prevalent patriotism that runs deep in Pulaski County USA. Pulaski County as a whole has been recognized as a Purple Heart County, and two of its cities, St. Robert and Waynesville, MO have both been recognized as Purple Heart Cities.